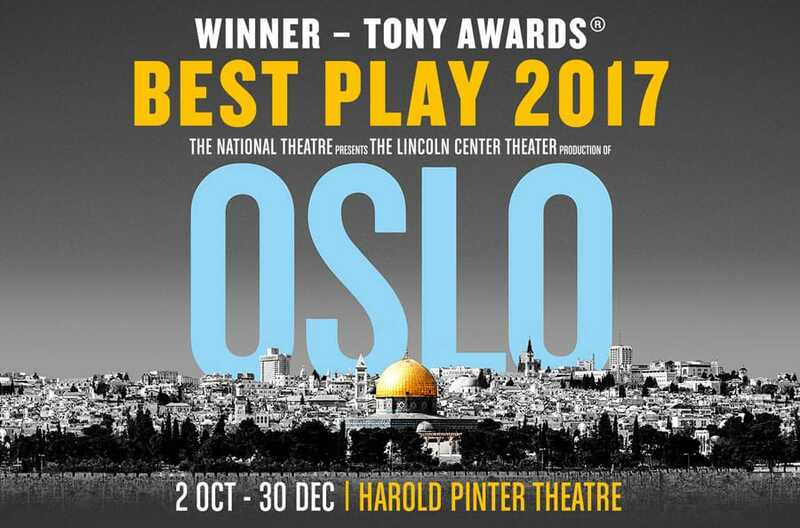 As conflict continues across the Middle East over seemingly irreconcilable differences, the Tony-winning Broadway hit Oslo brings a timely message of hope to London in a masterful production. It re-tells the true story of how a Norwegian couple – foreign ministry official Mona Juul and her husband, sociologist Terje Rød-Larsen – came to broker secret peace talks between the Palestinian Liberation Organisation and Israel in 1992. 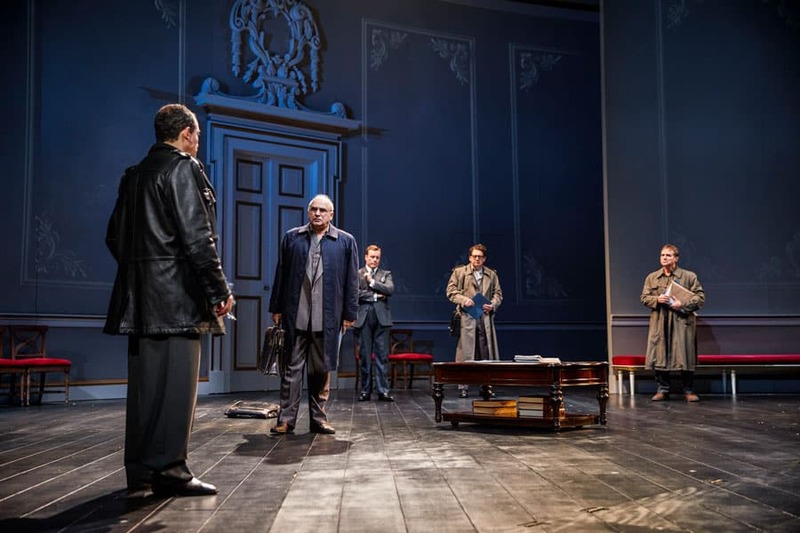 This weighty subject, full of labyrinthine complexity, is lucidly distilled by JT Rogers’s dramatisation of events, turning the process of negotiation and diplomacy into a gripping drama. 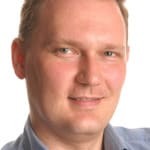 Key to the talks’ success was Rød-Larsen’s highly personal approach that was “rooted not in the organisational but the personal”, as Terje points out early on. 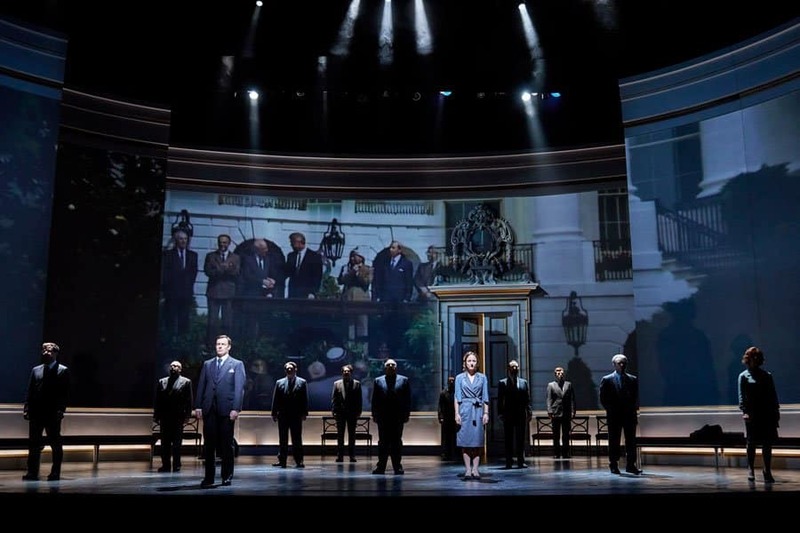 In the same way, the play brings the human factor to the forefront, revealing how the negotiators’ unique personalities and histories contributed to the process. Peter Polycarpou (Qurie), Thomas Arnold (Pundack), Nabil Elouahabi (Asfour), Paul Herzberg (Hirschfeld). As Palestinian finance minister Ahmed Qurie, Peter Polycarpou has an avuncular charm that belies a sharp mind and barely concealed anger at Israel’s treatment of his people. On the other side, as director-general of Israel’s foreign ministry, Philip Arditti’s Uri Savir is a formidable figure who turns out to have a wicked sense of humour and a love of theatricality. They are part of a flawless cast including Jacob Krichefski as Yossi Beilin, the brave Israeli deputy foreign minister who triggered the secret talks, Nabil Elouahabi as hardline PLO official Hassan Asfour, and Paul Herzberg and Thomas Arnold as the two Israeli professors who waded in to get the peace talks under way. It emphasises that, despite being at polar opposites on politics, religion and territorial claims, there is common ground among the men in their devotion to family and their frustration at the unending cycle of violence and death as well as their shared love of Johnnie Walker whisky and Norwegian waffles. The play also explores what motivates people like Juul and Rød-Larsen, citizens of a country with a population of not much more than five million, to risk their livelihoods and reputations to guide two warring nations to peace. 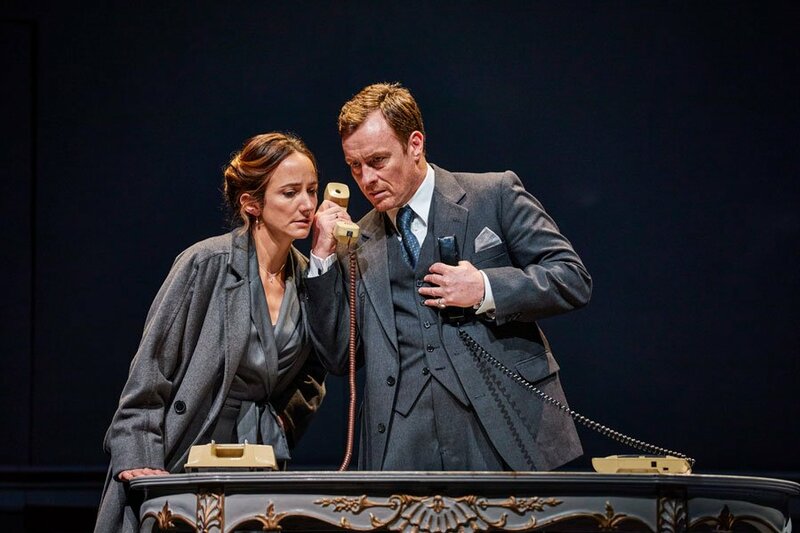 Lydia Leonard and Toby Stephens are both excellent, subtly helping us to understand their deep-felt conviction that, despite being just two individuals, they can do something to “change the world”. As with the other characters, we see how their unique personalities were so instrumental behind the scenes, with Mona’s calm control complementing Terje’s riskier, bolder approach. Peter Polycarpou (Ahmed Qurie) and Philip Arditti (Uri Savir). 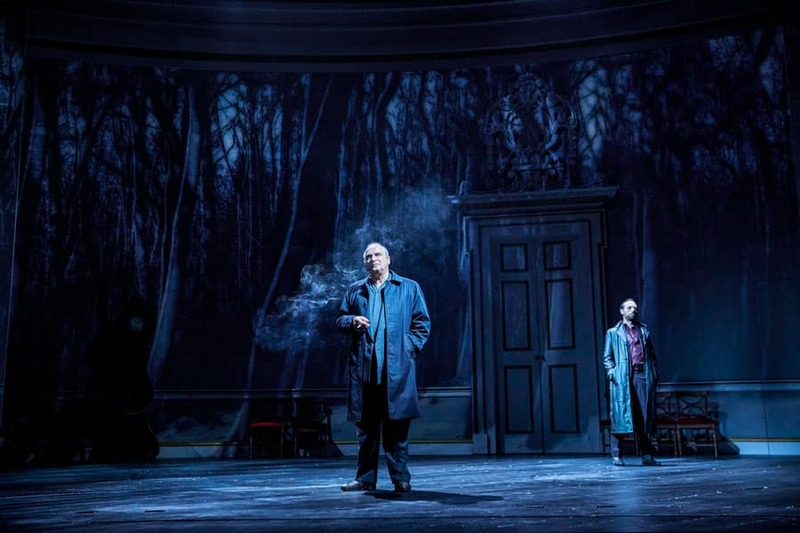 Cleverly using the full Lyttelton stage, Oslo takes place on a sparse set by Michael Yeargan, with little else apart from a scattering of bland conference-room furniture against a blank canvas used effectively by lighting designer Donald Holder with projections from 59 Productions. Under director Bartlett Sher, the running time of three hours including interval zips along with barely a lull in the action. It is a rollercoaster, with moments of great hilarity switching suddenly to high tension, along with deeply moving reminders of the horrors and sadness behind the talks. 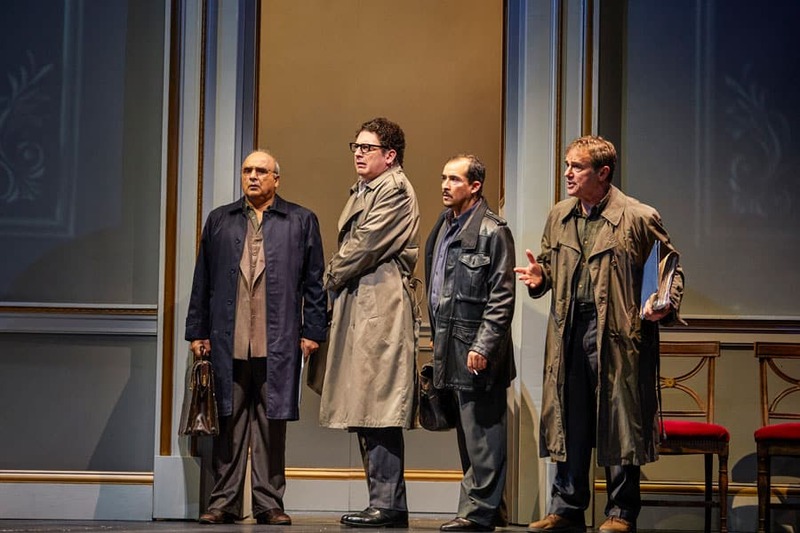 While peace in the region feels a long way off, the play reminds us of the small steps that were made by the Oslo Accords and offers hope that, even when differences appear unsurmountable, agreement can be found if enough people take the risks needed to achieve it. Running at the National Theatre to September 23 and then at the Harold Pinter Theatre, London, from October 2 to December 30.